As millennials get older they are starting to have greater influence in the market today. While this has led to great improvements when it comes to industries such as entertainment, internet, and coffee, it can also be concerning for older industries such as banking. Banking, in some form, has been around since the beginning of 6th century, but it can be difficult for specific banks to keep up with the different generations’ needs. As Generation X gets closer and closer to retirement, millennials are beginning to take over the marketplace and it’s up to banks to find a way to stay relevant. Millennials currently account for 80 million Americans, and spend about $600 billion annually. By the year 2020 millennial spending will account for $1.4 trillion each year1. While these are similar stats from what is seen in any age group that is beginning to come the majority in spending, what makes them different is their affinity for mobile. 24% of smartphone users used mobile payments in 2015, which is a 100% increase from 2011. Mobile transactions accounted for almost $30 billion in 2016, and by 2021 it’s expected to be almost 7 times as much2. The future of banking is mobile. And while almost all banks have a mobile app that allows users to view their statements, balances, and deposit checks, the majority of transactions cannot be done directly in the banking app. At the beginning of this year Zelle was released, allowing any of the 100+ participating banks to let their customers instantly send money back and forth to any other users. While this is a step in the right direction, it’s still lacking the ease and security found in some other platforms. Major companies such as Seamless, Uber, J.Crew, Forever 21, and Eastboy allow you to pay for a purchase from Venmo, while currently Zelle is just peer-to-peer. Zelle also has some security issues, such as not offering fraud protection and there have been several cases of hackers being able to transfer themselves money from an account unauthorized. Although Zelle is a step in the right direction, there’s still a lot lacking from this platform. It’s another app and another service to sign up for. 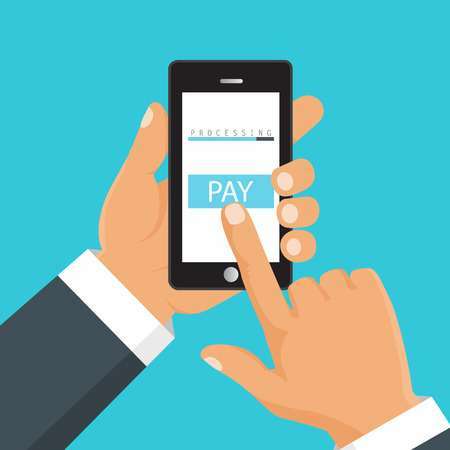 Everyone uses different mobile payment systems and it’s can be hard to keep track of. The millennial generation is all about convenience, and banks need to find a way to capitalize on that. A bank that allows transactions to be done directly from within the app, both with brick-and-mortar retailers, online stores, and peer-to-peer transactions will be far more appealing to millennials and Generation Z’ers, who are their key target segments.